It’s been four years now since first coming to Kingston and Curry Original is probably the restaurant I have frequented the most. The servers are wonderful and are so friendly especially when they get to know you, the food is amazing, and the entire experience is always great. Full of flavour and efficient service! This place is one of my favorites in kingston. The atmosphere is great. Also: Best Naan bread in town. 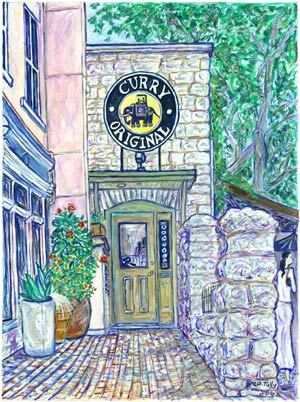 This is one of my favourite restaurants in Kingston and I have eaten there many, many times. The atmosphere is lovely – clean and comfortable. The staff are friendly and helpful and make us feel not only welcome but our business is appreciated. The decor, the location are both great reasons to go, but the most worthwhile reason is definetly the food! It is absolutely delicious, and is the best Indian restaurant in Kingston. It was rated in the “Where to Eat in Canada” publication, and I can see why.